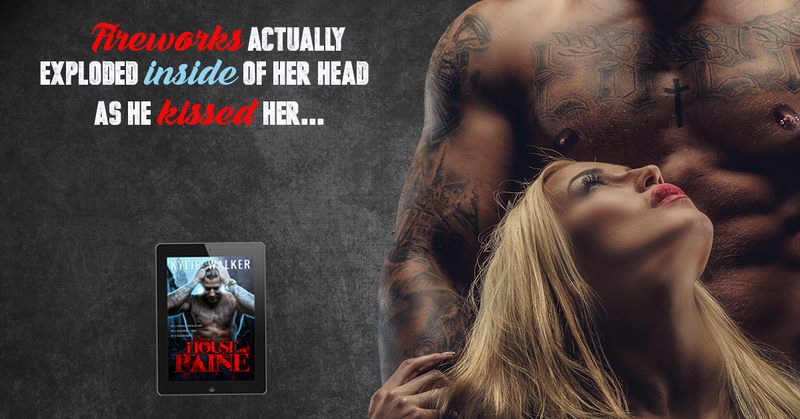 Kylie Walker is a new to me author and upon seeing the synopsis for House of Paine I was drawn in and decided to pop my Kylie Walker cherry. 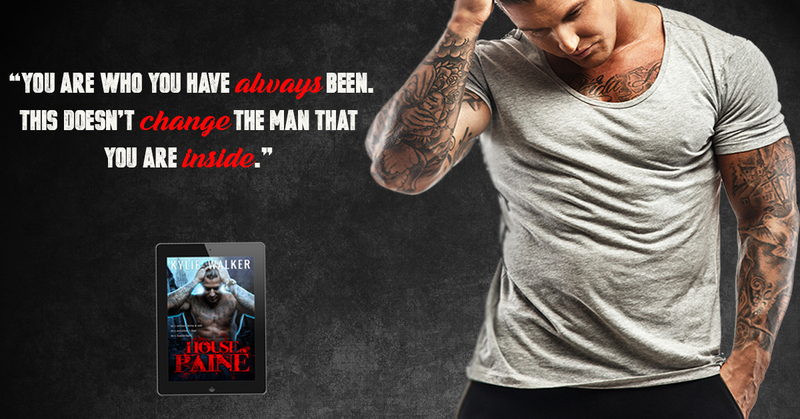 House of Paine is a mafia style romantic suspense type read and Kylie Walker definitely delivered. If I wasn’t chewing my nails I was swooning, she would build you up with angst and suspense only to quell the fear with some honest to goodness romance. It was a roller coaster, but one I was glad I jumped on and was gutted when it finished. Paige Acosta was one ballsy, stubborn, sassy woman. Her heart was in the right place but sometimes her actions were driven by emotion rather than common sense. She had no life preservation skills and just jumped into everything head first no matter the consequences so it was a good job she had someone watching her back, because she darn well needed it. She was nearly a doctor; she was intelligent she just lacked common sense at times. Damien Paine was a man born into the life of mafia crime, a life he didn’t want or need and a life he was desperate to get out of, but we all know the rules, the only way you get to leave is in a body bag. Damien was a man with a huge heart and this was all his mother’s influence. Damien had always been closer to his mother while his brother, Alex, had favoured his father and after nursing her through cancer till her dying day Damien no longer had a reason to stay away, but his mother had left her mark on Damien and it was one that would always make him stand out from the rest. The story begins with Paige’s brother, a brother that she was extremely close to and a brother that is killed while undercover. His killers make it look like suicide but Paige knew her brother and there was no way she was going to let his lasting memory be that of a man that died a junkie. Paige Acosta wants the truth and there was nothing that she wouldn’t do to find it, even if it meant endangering her own life. I told you, she is nuts!! The Kramer family are chief suspects and with her brother’s partner aiding and abetting Paige soon knows the culprit. Little did she know that the Paine’s were related to the Kramer’s…the same Paine’s that were once a part of her family, her ex step-dad, Jackson, being the head of them. However, Jackson is not about to see his ex-step daughter murdered and so enlists the help of his son in keeping her under control, but when they meet…they lost control…Damien and Paige are a match made in heaven, but do they deserve each other? Damien doesn’t think so, however, Paige most certainly does. This is a story of revenge and consequences. A story that will have your hands gripped to your kindle while chewing your nails as you desperately hope that good conquers evil. Where family loyalties are pushed to breaking point, family secrets are uncovered and the mob are being pushed and pulled in every direction. This book is action packed and I loved every second. It was tense, it was emotional in places, extremely suspenseful but most of all it flowed at a fantastic pace so your attention was kept to those pages at all times. The words consume you and the story takes over. I cannot wait to read more by this author.